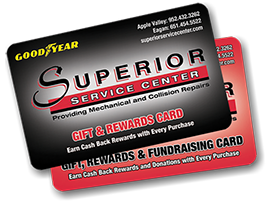 Welcome to the Superior Service Center Rewards Program! Enter your account information and password in the fields provided below to view your rewards program details. Enter your Card Number in the box below. Simply activate your account by following the instructions sent to your e-mail or mobile phone.